Japanese website Ryokutya has reported that a new DLC mobile suit for Gundam Versus will be announced in the upcoming issue of Gundam Ace. The mobile suit in question is rather out of left field, and no one really saw it coming as a result. It's a niche choice, even by Gundam standards. The Phantom Gundam from the manga Mobile Suit Crossbone Gundam: Ghost will be joining the fight. 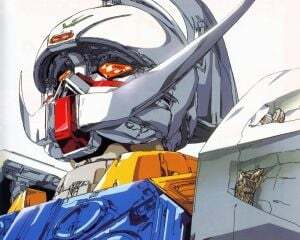 For those unaware, Ghost is a sequel to Mobile Suit Crossbone Gundam: Steel 7, and is part of the long running Mobile Suit Crossbone Gundam manga series. The manga has never left Japan in any official capacity, and as a result many casual fans don't really know about it. With four representatives in the base game, many thought that Crossbone Gundam would be a very low priority for DLC characters, due to having to appeal to an international audience and larger series missing major characters. So the fact that Phantom Gundam is in as DLC is a huge surprise. In addition, this is the first time anything from Ghost has appeared outside of the manga. There are no model kits for any of the mobile suits, it doesn't have an anime adaptation, and this will mark the first video game appearance for the series. This is also the first time its protagonist, Font Baud, will be voiced. Meaning it is highly likely you are going to see some very critical thoughts on the matter once some footage for the DLC is released. Currently no date has been revealed for Phantom Gundam, however it is likely to be released in September for Japan. It is unclear when Phantom Gundam will show up for purchase for the international release of Gundam Versus on September 29, joining the five DLC mobile suits that released this month in Japan for lack of information.